If you are afraid of seeing a dentist near Cornelius and have not had a check-up in years, today’s post is for you. Good news! Dentistry in the Davidson area and around North Carolina is nothing like it was when you were a kid. Advancements in Dentistry have made dental visits much more enjoyable for everyone. 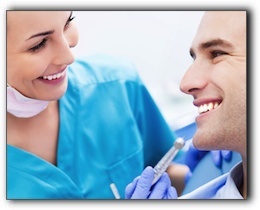 If you need dental treatment, oral sedation dentistry allows you to sleep during the procedure. If you have a bad memory of hurting for days after a procedure, relax. Improved painkillers, lasers, and advanced techniques have reduced the pain experienced by Dennis J Coleman DDS – Family & Cosmetic Dentistry patients. If you need extensive treatment, we will create a pain management plan to ensure that you remain comfortable at all times. Doctor Coleman can perform procedures much quicker with today’s extremely precise dental instruments. Healing times for oral surgery are also much shorter thanks to advanced techniques. You don’t have to live with gaps in your smile, sore gums, stained teeth, or a toothache anymore. We can take care of all your dental problems at Dennis J Coleman DDS. We will help restore your oral health to improve your quality of life and prevent dental problems from affecting other parts of your body. Today’s modern dentist is not the same as your father’s dentist. We invite you to discover why you shouldn’t avoid seeing a dentist near Cornelius any longer. We look forward to seeing you at our office soon. Call Dennis J Coleman DDS – Family & Cosmetic Dentistry today at 704-896-5850 and learn more about dental implants, porcelain veneers, gum disease treatment, and restorative dentistry.